Description: The diamond bracelet is also known as the double-single. It gets its name for because you place the elastics onto the loom in diamond patterns. 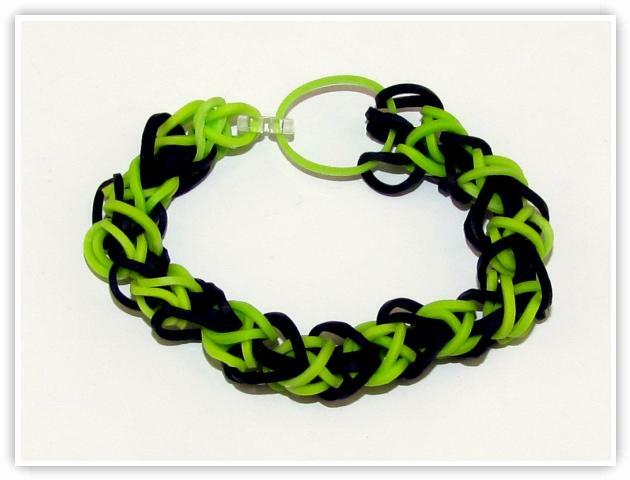 This bracelet is a good place to start after making the single bracelet, because it is essentially 2 single patterns overlapping one another. Also a good pattern to be made into a necklace.